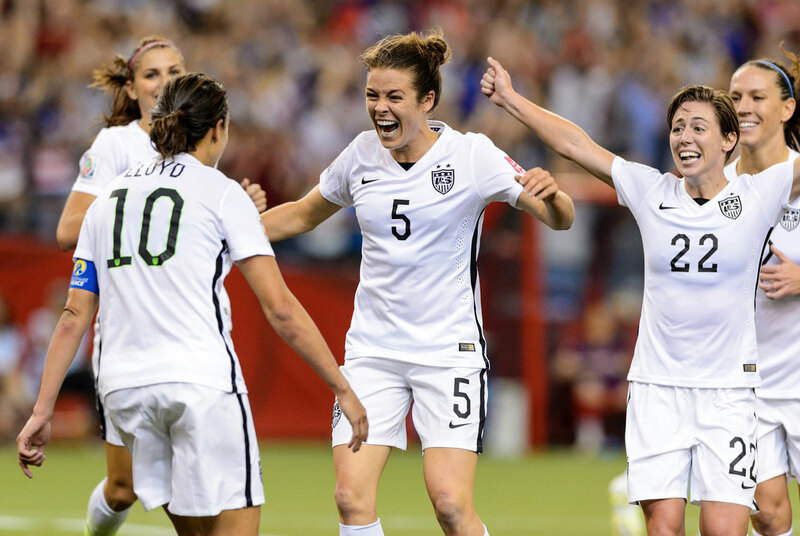 Atlanta native Kelley O’Hara (#5) celebrates with her USA teammates after scoring a goal against Germany in the FIFA Women’s World Cup 2015 Semi-Final. Attendance is, indeed, a big part of Atlanta’s problem with women’s professional soccer. The Beat, which came to town in 2001 as part of the Women’s United Soccer Association, saw attendance drop by about 40 percent from its first year to its second. In its third year, the league dissolved and took the Beat down with it. The second coming of the Beat, this time with the Women’s Professional Soccer league, drew even fewer fans before dying along with its league in 2012. Trey Brantley agrees and believes he can help change the sport’s fortunes in Atlanta. The former tech executive was part of a group that proposed plans for a National Women’s Soccer League team in 2014 called the Vibe, which would have played at Grady High School Stadium in Midtown starting in 2016. Last year the group shifted their efforts and dollars to a proposed multiacre, multimillion dollar soccer and sports facility that they want to build somewhere east of the city. The facility would, ideally, be home to a new professional women’s soccer team, as well as a professional men’s team that they say wouldn’t draw fans away from the Atlanta United FC. At press time, Brantley and his associates were negotiating with local development authorities.